We all know that the tech giant, Samsung started the Galaxy M Series production in India a couple of months ago. 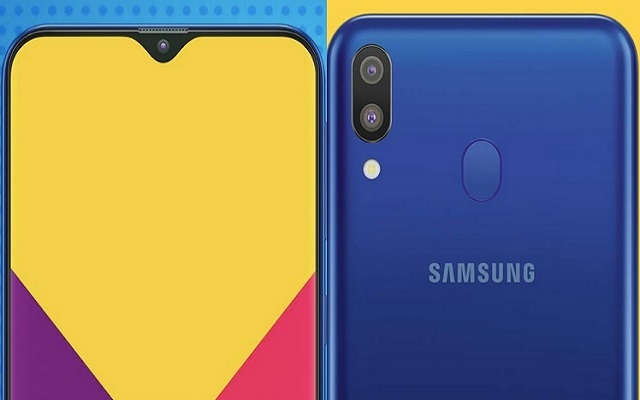 According to the reports, the Galaxy M10, M20, and M30 will be the part of Galaxy M series which are on their way to be assembled in Noida, India. All the entry-level handsets have been in the pipeline of rumors for many weeks. Recently, Galaxy M10 & M20 Prices got leaked. According to the latest reports, M10 will have a large 6-inch display. Moreover, the dimensions of the handset will be 155.7 x 75.8mm. The Upcoming phone will be powered by Samsung’s Exynos 7870 octa-core chip. Furthermore, the smartphone will feature 3GB of RAM. According to the reports, the upcoming phone will come in two memory configurations that will be 16GB or 32GB. It will be an entry-level smartphone by the company so, it will come with Android 8.1 Oreo straight out of the box. Other specs of the smartphone include Bluetooth 4.2, and a huge 3,400mAh battery. Galaxy M10 Price is expected to be $126 or €110 according to the latest leak. On the other hand, the upcoming Galaxy M20 will be quite similar to the M10 design-wise. However, the handset will be thicker and slightly bulkier than that model. The smartphone will feature a dual rear camera setup (13 MP + 5 MP) on the left side, with a LED flash underneath. The notch will apparently house an 8 MP selfie shooter. The M20 is rumored to come with the biggest Samsung’s battery ever that will be of 5,000 mAh. The Galaxy M20’s display size will be 6.13″ with FHD+ resolution. Furthermore, it is expected to be powered by the Exynos 7904 chipset, paired with 3GB of RAM. Galaxy M20 Price is expected to be $182 or €160. Moreover, Both phones will go official on January 28.